2015 is now behind us, but it went with lots of people. Include some celebrities and public figures. This article is in memory of the loved ones lost last year. May their souls rest in eternal peace. Singer AK 47 passed away on March 17 under mysterious circumstances. There are still unclear circumstances surrounding his death. The official version is that he collapsed and fell in the toilets of Dejavu bar in Kansanga, that belongs to Jeff Kiwa, who was his manager in the Team No Sleep camp at the time of his passing. A cleaner, a one Mumbere who was supposed to assist police with investigations is still at large. At the time of his death, AK had just a few hours earlier released a single titled Ndi Mukole (I am Born Again). He is survived by three children including twins who were just a few months old when he passed away. He was the face of news anchoring in Uganda, having done the job for close to three decades at UBC (formerly UTV). Bbale was pronounced dead several times but he seemed to be like the proverbial cat that had nine lives, but on April 2nd 2015, he breathed his last. Bbale passed on at the Mulago cancer institute. At the time of his death, workmates at UBC were fundraising to have him transferred for better treatment in India. Former NTV news anchor Rosemary Nankabirwa succumbed to cancer at the Aga Khan Hospital in Nairobi on April 12th 2015. At the time of her passing, NTV staff members and celebrities were conducting a charity car wash aimed at raising Shs100m for her treatment, but Rosemary didn’t make it. 35-year-old Nankabirwa started feeling ill in the UK where she was pursuing a Masters Degree and returned home to the care of her mother. She was pronounced dead after the family agreed to put her off life support, after a priest had administered the sacrament of anointing of the sick as she was a staunch Catholic. 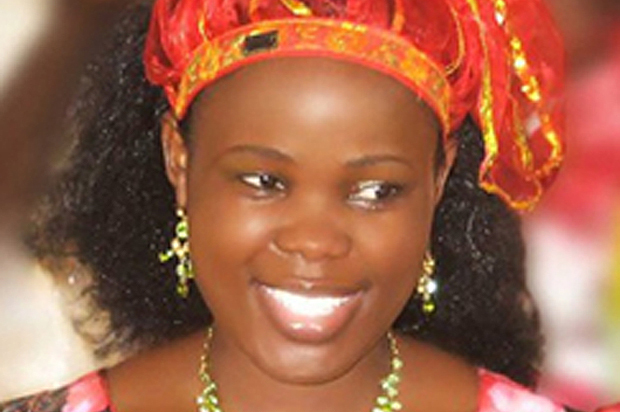 The grim reaper was busy in April 2015 as singer Harriet Kisakye passed away at the Intensive Care Unit of IHK hospital in Namuwongo on April 25. She had a septic wound on her fore arm that only kept getting worse, leading to her demise. Kisaskye was admitted to Mulago Hospital and it took the intervention of FDC Presidential Flag Bearer Dr Kiiza Besigye to be transferred to IHK for better attention. She had composed a campaign song for Besigye, used in previous elections and it was a pity she is not available for Besigye to use her services in the current campaign trail. Miss Tourism Northern Uganda Norah Atim and NTV Uganda Login show co- Producer Resty Namawejje passed away in a car accident along Masaka Road on Saturday July 4, 2015. Barbara Nakiwolo, one of 2014’s Miss tourism finalists also passed away as she was being transferred to Mulago hospital in a Police ambulance. The accident happened at Nakirere, in Mpigi district along the Masaka – Mbarara highway. They were travelling to Mbarara in a Toyota Prado, UAN 690B, to attend the western Uganda leg of the Miss Tourism pageant. Police attributed the cause of the accident to over speeding. Internal Affairs Minister Aronda Nyakairima, who had previously served as Chief of Defence Forces passed away on September 12. Aronda passed away in Dubai, in transit from official state duties in South Korea. Government spokesman Ofwono Opondo said that Aronda passed away due to cardiac arrest. 14-year-old Alex Ssempijja succumbed to injuries following a serious bicycle accident on November 30th. Breaks failed them as he rode with fellow triplets dancer Patricia in their Makindye neighbourhood. Alex didn’t make it but dancer Patricia who was admitted to Case Clinic in critical condition pulled through and is alive and well. The kids featured in the Sitya Loss video that brought singer Eddy Kenzo worldwide fame and a BET Award. A clip from the viral video was also used in the Coca Cola advert for their Believe campaign. Condolensces for Alex poured in from the world over as the kids had become global stars thanks to the viral Sitya Loss video. Master Blaster, real name Cornelius Oloya had actually been pronounced dead by the rumour mill several years ago. Turns out that at the first announcement, he was only musically dead as he had failed to match the success of his Embooko hit. The singer lost his life after a policeman shot him twice in the stomach on the morning of 30th December, following a brawl at Eden Service Park in Bwaise. Master Blaster and other locals were involved in a scuffle after the pub’s management denied them access to the venue because South Sudanese nationals were having a private party and they felt they were being segregated in their own motherland. The singer had just released a new quirky song Ekibala (fruit) but unfortunately he is not alive to taste the fruits of his new release.